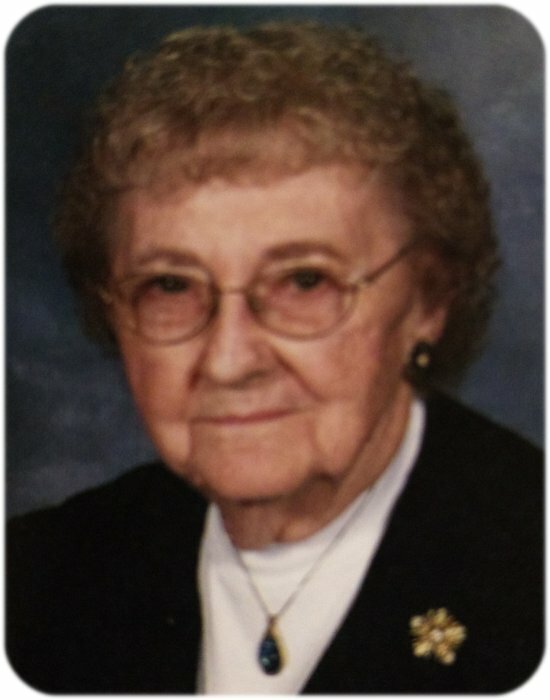 Memorial services for Laverna Greenfield, age 95, of Albert Lea, will be held at 11:00 a.m. on Saturday, February 9, 2019 at Mansfield Lutheran Church. Pastor Don Rose will officiate. Interment will be at Mansfield Cemetery at a later date. Friends may greet the family one hour prior to the service at the church. Online condolences are welcome at www.bayviewfuneral.com. Laverna died Monday, February 4, 2019 at her home. Laverna Greenfield was born on August 22, 1923 in Walters, Minnesota, the daughter of Albert and Ada (Akemann) Yost. She grew up in rural Walters and attended Hintz School – District 118. On June 10, 1947, she was united in marriage to Lyle Greenfield in Mansfield. She was a member of Mansfield Lutheran Church where she had been active in the circle. Laverna’s favorite pastime was baking. Laverna is survived by her daughter, Mavis Chaloner; son, Lynn (Jean) Greenfield; grandchildren, Darren (Julie) Chaloner, Devin (Sheryl) Chaloner, Chris Chaloner, Travis (Gennifer) Greenfield, Dyon (Wendy) Greenfield, and Linnea (Mike) Petersen; great-grandchildren, Donovan, Nolan, Damian, Allison, Marcus, Wyatt, Lucas, Bristol, Aidan, Noah, Ethan, Kate, Riley, and Ali-Jean; sister, Yvonne Enser; brother, Virgil (Glenda) Yost; sister-in-law, Ruth Yost; and many nieces and nephews. Laverna was preceded in death by her husband, Lyle; son, Warren Greenfield; parents, Albert and Ada; brother, LaMars Yost; sons-in-law, Phil Chaloner and Ken Puser; and brother-in-law, Franklin Enser.